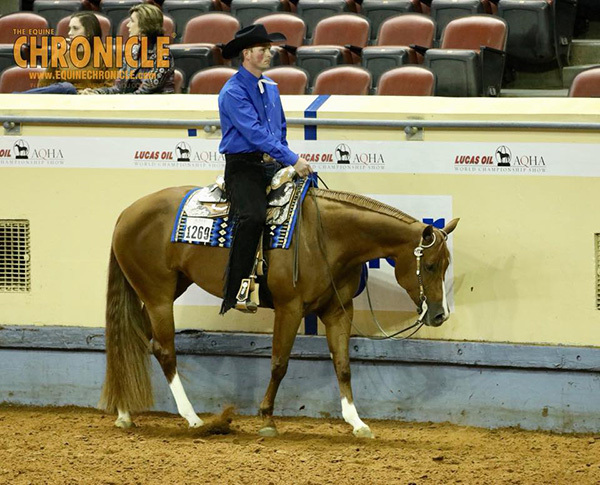 Two World Champions were crowned during this evening’s finals classes at the 2018 AQHA World Show. 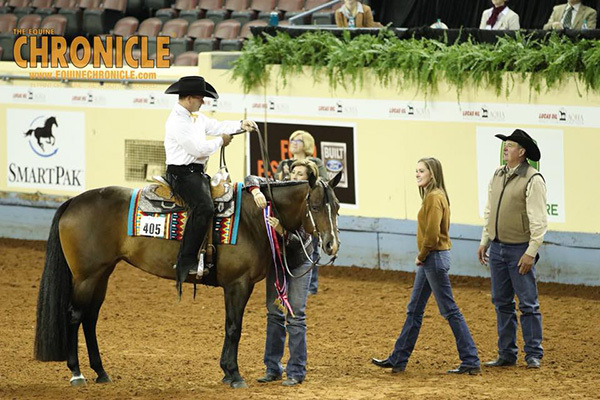 First, Andy Cochran rode Momma Knows Best to win Senior Western Pleasure for the first time at the World Show. Andy has been Reserve in Senior Western Pleasure with Show Diva in the past, but this is his first win. Although this is “Myrtle’s” first year in this older age division, as she just turned six; for Andy and Myrtle as a team, this win as been a long time coming. “We call Andy, ‘The Myrtle Whisperer,’ because he’s been able to get along with her when not very many people have. He’s got the secret,” says owner, Hillary Roberts. 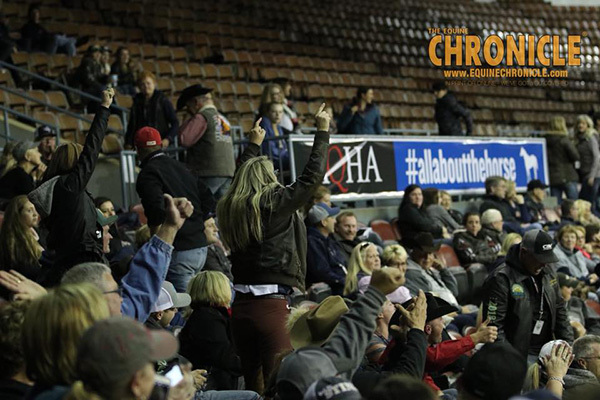 Last year, Hillary won the Non Pro Maturity at the Congress and came to the World Show to be named the Reserve World Champion in Amateur Western Pleasure. 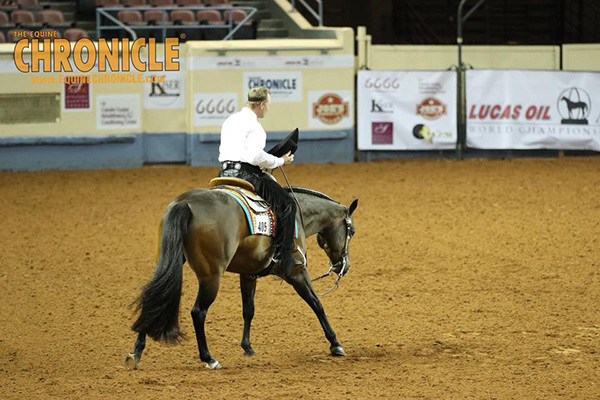 This year, they placed third in the Maturity and Amateur Western Pleasure at the Congress. They will show in Amateur Western Pleasure at the World Show later in the week. Myrtle is by RL Best of Sudden and out of a Blazing Hot mare. In fact, the top two horses are by RL Best Of Sudden. The Reserve Champion was Casey Willis with KM Weknowsheshot. Third was Gil Galyean with Made By J. Dawn Baker rode Mito Been Me to win Junior Hunter Under Saddle for Janae Walker. 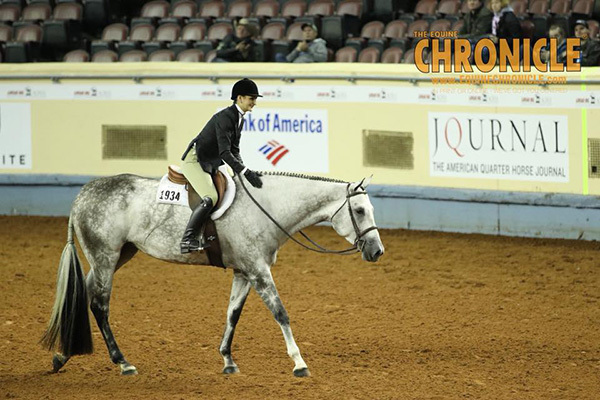 Just a few weeks ago, Dawn rode 4-year-old “Daisy” to win the Open Maturity Hunter Under Saddle at the Congress. 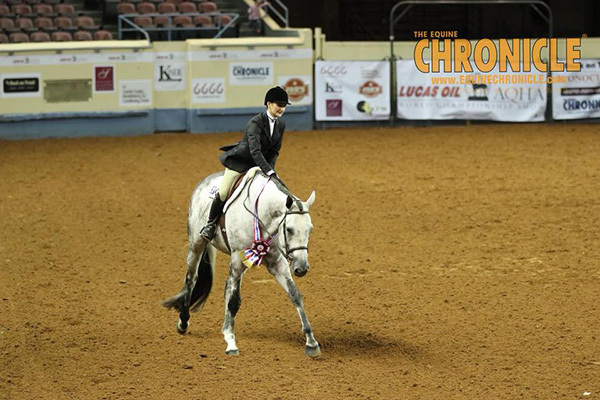 Janae rode the big, gray mare to place in the top ten in Amateur Hunter Under Saddle. She will show on Monday here in OKC. The Reserve Champion was Beth Case with Couture Blue Genes. Third was Dasi Jablonoswki with Hubbout A Dance.